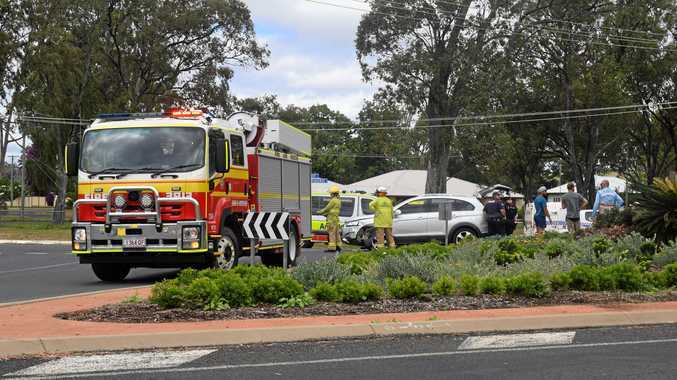 ONE Canadian college student wasn't going to let his dream girl slip away after failing to get in contact with her after a night out. 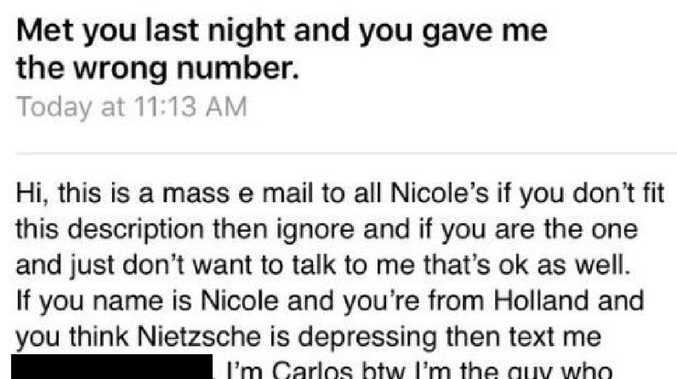 Taking matters into his own hands, the Romeo contacted all 247 people with names or variations of "Nicole" in the University of Calgary's email directory in order to find his crush - and set off a viral chain of events in the process. On Sept. 6, university student Carlos Zetina reportedly met a woman named Nicole at a local bar, and helped her and a friend get home safely at the end of the evening. Nicole didn't give Zetina her last name, and mistakenly gave him the wrong phone number. 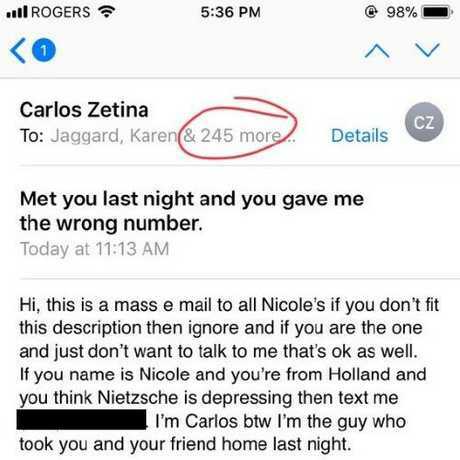 Apparently so taken by her, Zetina sent a mass email to everyone with the name or variation of "Nicole" in the university's email system, in hopes of tracking her down. His hopeful plea soon hit the inboxes of "hundreds of Nicoles, Nicolettes and Nikkis" including "several professors," Huffington Post reports. Hi, this is a mass email to all Nicoles if you don't fit this description then ignore and if you are the one and just don't want to talk to me that's okay as well," Zetina wrote. "If [your] name is Nicole and you're from Holland and you think Nietzsche is depressing then text me." But the email probably didn't have the affect he was hoping for, with all the recipients forming their own Facebook group before all meeting up to hang out. A photo of their meetup the following day has since gone viral on Twitter, sparking nearly 2,000 likes and over 550 comments in a closely followed thread. "This seems like the opening premise for an awesome sitcom," one commenter mused.